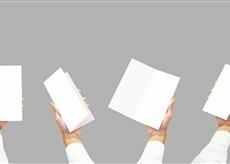 Popular uses for brochures include company brochures, sales brochures, spec sheets, event brochures, menus, and mailers. But what fold would go best for each use? Keep reading. 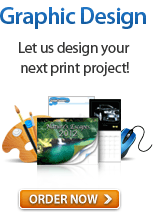 There aren’t a lot of resources out there about brochure printing so people remain uncertain. To most people, a brochure is just a brochure. All the different types balled up into one category. They send designs for printing not knowing that there are folds more suited for certain tasks than others. Before we begin, you need to understand what each fold looks like. This will help you visually distinguish one fold from the other. Below are all the popular brochure folds commonly offered by printing companies. Note: In some cases, not folding your brochure is the best option. 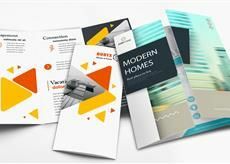 Depending on the goal, entrepreneurs create various types of brochures to grow their business. Keep in mind that this is just a guide to get you started. Ultimately, you get to decide what fold to use for your project. Company brochures are nothing new and are a staple in many offices across the globe. They are reserved for guests wanting more information about the company. The brochure acknowledges the company’s history while highlighting where it is today and what it has accomplished since. A trifold brochure is your safest bet. They are small enough to store but big enough to contain many text and images. I do, however, recommend using gate fold or double gate fold. Since both front panels are situated next to each other, you can use both of them to show one big, striking image that best represents your company. 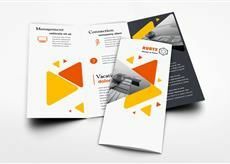 These are commonly known as promotional or advertising brochures and are used to present clients with products and services offered. These are point-of-sale materials that aid in providing product information. Since these are commonly placed on countertops or in racks beside the counter, you want something that can be easily stacked and not take up too much room. 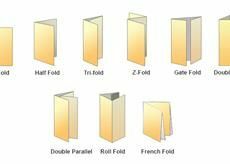 I’d suggest that you use a z-fold, double parallel fold, or roll fold. Spec sheets are important because they are there to support the sales team. They are there to act as a point of reference when customers need to understand the product better. 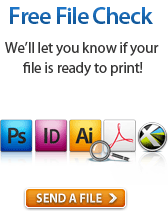 Spec sheets makes life easier for salespeople. It allows them to hand over all the technical information they need to disclose in one move so they can entertain their customers’ other concerns. No fuss, no more canned responses needed. I find no fold brochures or half-fold brochures work best as spec sheets. If you have an event coming up that you’d like to promote, you can use event brochures to promote it. Usually a no fold brochure is sufficient. 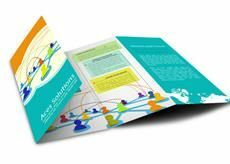 But for fundraisers, fun runs, charity golf tournaments, or other events where there is a lot of information you’d like to include, a z-fold gives your brochures a classy look. Yes, you can print brochures to be used as menus. And because brochures are affordable, you can give these away to customers and simply reorder when you’re running low. You can print no fold brochures if you’re planning on using them in your restaurant. Choose trifold if your menus are meant to be used as takeouts. 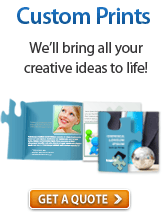 Brochure mailers are a bridge between you and your customer. This can be tough, especially because the people who will be receiving your materials have probably never heard of you or your brand. That’s why you should choose a fold that would best represent your brand. Try choosing a fold that would really set you apart from the competition. Something like a double parallel fold, french fold, or accordion fold would be nice. Note: USPS has requirements for self-mailers (brochures mailed without envelopes). Some brochure folds must be tabbed and some must be inserted into envelopes. You can check out the requirements through the USPS website.